Want a heap of extra exposure? Looking to increase sales? Have you created a design of your own using some of our yarn? Have you published it on Ravelry? If so, we'd love to help you and your designs reach a wider audience by listing them in our Pattern Finder. With millions and millions of page views each year, and over 300,000 facebook fans, listing your design with us is a no brainer. And did we mention that we list your designs at no cost to you, as well? All we do is share your existing Ravelry design listings with our audience, driving visitors from our pages directly to the Ravelry check out page for your indie design. Listing your pattern with us is quick and easy. Just fill in the form below. Neither of these two fields (your email nor your full name) will be made public. They are just for our communications and record keeping. 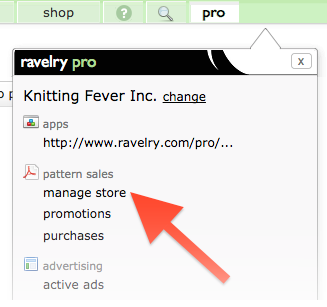 See the Ravelry Data Quick Help section below if you need help. Please use the same title you used in your Ravelry listing. Which yarns were used in your design? HTML markup is NOT allowed. Use this field to send private comments, notes, or questions to our editor. This field is for our internal use only and will NOT be made public. Every Ravelry Seller has a unique 'Seller Slug', and every pattern has a unique numeric ID. Go to your Pro Account and then click "manage store" from the menu options. Then click the pattern you want to list with us and examine the URL address bar. blue = your pattern's unique Ravelry Prod ID.